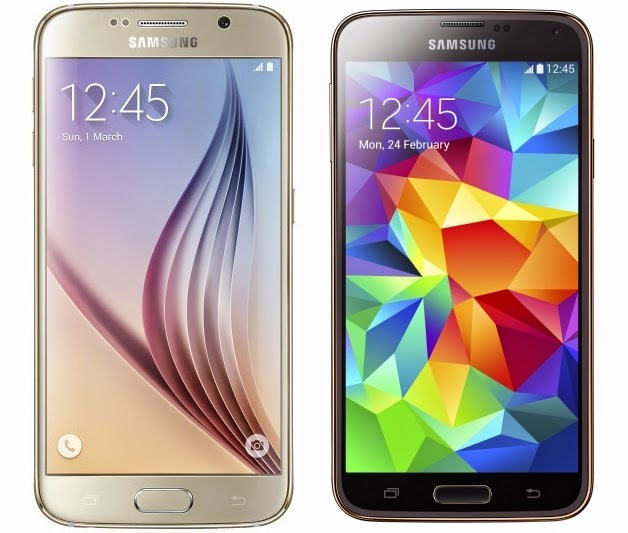 Samsung Galaxy S6 vs Galaxy S5 comparison: does the new Galaxy get it right? The Galaxy S6 has been revealed at MWC 2015 which means we finally might be able to move on from its rather lackluster predecessor, the Galaxy S5. Does Samsung's new device meet the lofty expectations? 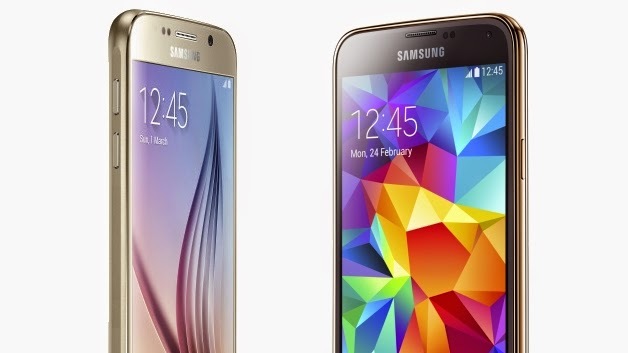 Find out in our Galaxy S6 vs Galaxy S5 comparison. Samsung was promising a complete redesign for the Galaxy S6 leading up to its unveiling, and while it's still clearly a Galaxy S device, there have been some significant changes. The dimpled black plastic rear, the painted "chrome effect" edges - these are visual elements that characterized the Galaxy S5 and few approved of the overall design. Thankfully, none of this is found on the Galaxy S6. Instead, we are treated to a metal and glass body, which highlights a big step up in terms of quality for Samsung, even compared to the already attractive Galaxy Note 4. The Galaxy S6 represents a dramatic improvement in design terms over the S5, but some aspects still leave something to be desired. The glass rear is a huge fingerprint magnet, and the raised square camera lens may turn some people off. The MSRP of the Galaxy S5 stood at 649 USD (699 euros) upon release. 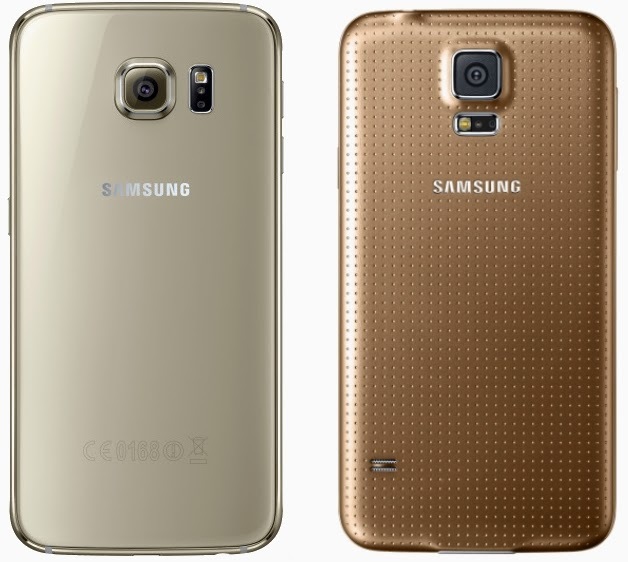 The Galaxy S6 will also launch for 699 euros, and so we expect its US price will once again be 649 USD for the base model (32 GB version). The 64 GB version will cost 799 euros (749 USD) and it's 899 (849 USD) for the 128 GB version. It's not cheap, and you may have to shell out a little more for larger internal storage, as the Galaxy S6 doesn't house a microSD card slot like its predecessor. Not only has Samsung done away with expandable storage, but the S6 doesn't house a removable battery either. And to add insult to injury, the battery has also shrunk in comparison to the Galaxy S5 (though it does charge around 50% faster, and can also charge wirelessly). Yet t's not all doom and gloom because the Galaxy S6 has a glorious see-it-to-believe-it QHD display while the S5 sits on Full-HD. The rest of the technical specs in the Galaxy S6 won't surprise anyone who has been familiar with the rumors. Although Samsung has not officially confirmed it, we think the Galaxy S6 is rocking the Exynos 7420 chipset, as Samsung has parted ways with Qualcomm. It should also be mentioned that unlocking the home screen via fingerprint sensor is finally comfortable, and no longer requires awkward swiping, instead a simple touch will do it. The Galaxy S6 runs on Android 5.0.2 Lollipop with Samsung's TouchWiz UI. Much of the speculation around Samsung's new software focused on a completely stripped-down interface with less bloatware than ever before. This is partially true, the Galaxy S6 features less pre-installed Samsung apps than the Galaxy S5, but it still prepackages a fair number. S Health and S Voice make a return, as does Samsung's "My magazine" news scroll, accessible from the far left home screen. The Galaxy S6 promises to be a clear step forward in many ways: better camera, design, processor, and display. All of the ways that the average consumer is sure to care most about.